This was announced yesterday by organisers of the Shaikh Hamdan Bin Rashid Al Maktoum Award for Medical Sciences, a foundation that honours international researchers who pursue pioneering medical research. New awardees were also named yesterday for 2003-'04. The winners were divided into three categories: International Awards, Arab World Awards and UAE Awards: Prof. Robert W. Schrier, an expert in renal diseases, pathogenesis and management from the University of Colorado School of Medicine in the US, was named as the Grand Hamdan International Awardee. The Hamdan Award for Medical Research Excellence went to Prof. Adriano Aguzzi of the University Hospital of Zurich, Switzerland, for his work in "Emerging Viral and Prion Diseases". Four humanitarian medical services volunteers were also named. They are the Dubai-based Mohammad Bin Rashid Al Maktoum Humanitarian & Charity Establishment; the Ramallah-based Palestine Children's Relief Fund; the Cairo-based Human Relief Agency; and Prof. Adib Al Hassan Rizvi, of the Sindh Institute of Urology and Transplantation, Dow Medical College, Civil Hospital, in Karachi. The Hamdan Award for the best medical educational centre went to the Kaser Al Aini Medical College of Cairo University. King Faisal Specialist Hospital in Saudi Arabia was chosen as the best medical institute. Under the UAE category, three Al Ain-based researchers bagged the Hamdan Award for original research papers published from inside the country in the Emirates Medical Journal: Dr. Sarfraz Ahmad, a Florida-based researcher, Dr. Alice Abd El Aleem, a geneticist from the National Research Centre in Cairo and Dr. Mohammad Amjad Kamal, a biochemist from Sydney were recognised for their research papers published from outside the UAE in the Emirates Medical Journal. Meanwhile, the Hamdan Award for outstanding clinical department in the public sector in the UAE went to the Department of Cardiac Surgery, Al Mafraq Hospital in Abu Dhabi and the Emergency and Critical Care Department of Rashid Hospital in Dubai. 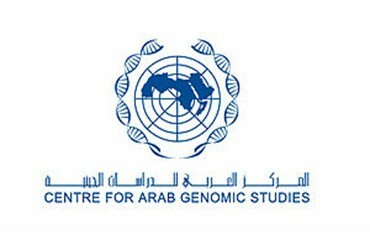 Arab Centre for Genomic Studies at the Genetics Centre in Al Wasl Hospital in Dubai, which is part of the award foundation, tries to alleviate human genetic disorders in Middle Eastern countries based on recent advances in human genetics and the information available from the Human Genome Project. Opened in June 2003, by Hamad Abdul Rahman Al Midfa, the UAE Minister of Health, and chairman of the board of trustees, the centre also provides a forum to foster and support collaborative research aimed at identifying the genetic basis of disease. It also seeks to bring under one umbrella diverse expertise in the field of human genetics and related fields from the Middle East and North Africa and support preventative approaches. For this purpose, a local team of scientists was asked to conduct a two part genetic study at the foundation. Their first objective is to establish a local database of locally prevalent genetic diseases, which is expected to be presented at a medical conference in December. The award presentation ceremony will be held during the Third Dubai International Conference for Medical Sciences on December 13 at the Dubai World Trade Centre.